Counting dragon treasure doesn’t need to take long, unless you’re a dragon. But even if kids only spend a few minutes, that adds to the experience pile. And tonight on tv we’ve certainly watched the drama of counting and numbers. Dragons collect all sorts of treasures. Since they are imaginary creatures that could be practically anything. Maybe they like buttons, marbles, or cars. Some dragons may look for bottle caps or beads. A nature dragon spend his time counting rocks. After all wizards, magicians, and witches might have turned real jewels into rocks. Kids can probably suggest other items for dragon treasure. 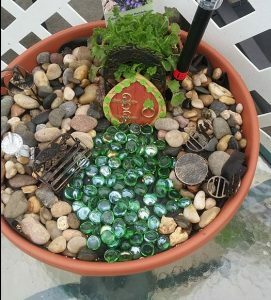 Little Sister got out her treasure box that had buttons, rocks, and some plastic crystals from an old dining room light. 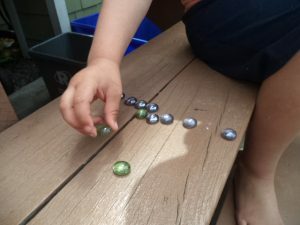 Round up a dozen or so things and let kids count them. At first, the counting won’t be accurate but learning to count is a process. What’s more important is that kids are figuring out one number goes with one object. This takes lots of experiences with counting. 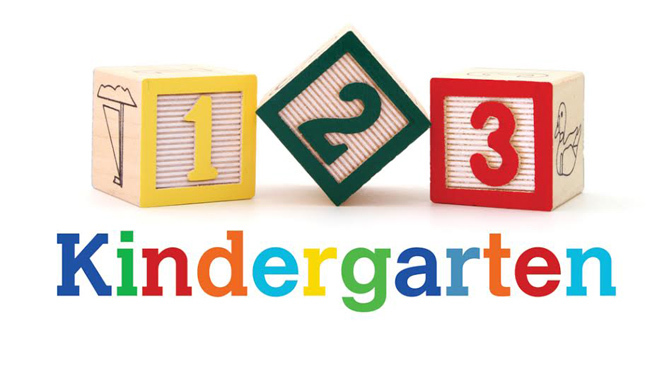 If kids have a pretty good idea of the numbers, they can choose to be a number dragon. For instance, the 4-dragon likes his treasure to be in piles of 4. 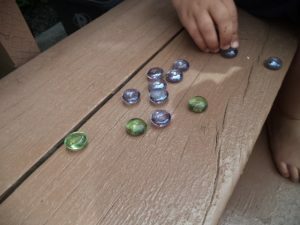 As kids create piles of 4, they are developing an idea of 4-ness. This happens for other numbers too. How many pieces of treasure would a 3-dragon want? That’s right, she would want piles of 3 things. 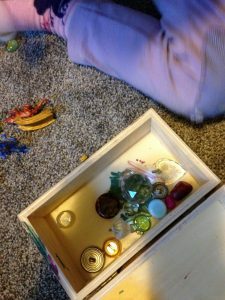 Little Sister tried to count the items in her treasure box and carefully pointed to each one as she said the number. However, she missed some and then couldn’t remember which ones she’d counted. I showed her she could pick up one treasure at a time and put it in the lid. This was better and much easier. Kids absolutely need to play and have fun with numbers. This helps them become familiar and confident about their own number skills. One in four people suffer from math anxiety. How comfortable are you with numbers? The best way for kids to be comfortable is if they have countless play experiences. Pun intended. 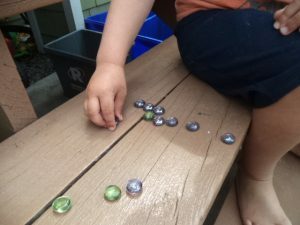 Think of play activities with numbers and counting as brain treasure. Dragons don’t get treasure all at once. They get a bit at a time and it grows into a huge pile. That works for kids too. Little play opportunities grow into big learning. 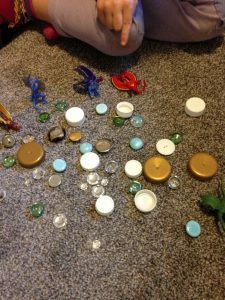 Can counting dragon treasure be part of your kid-dragon’s fun today? Somewhere, young kids discover they can say a string of numbers, make explosive noises, and blast off in all directions at top speed. Arms together above head is optional. What could be more fun? 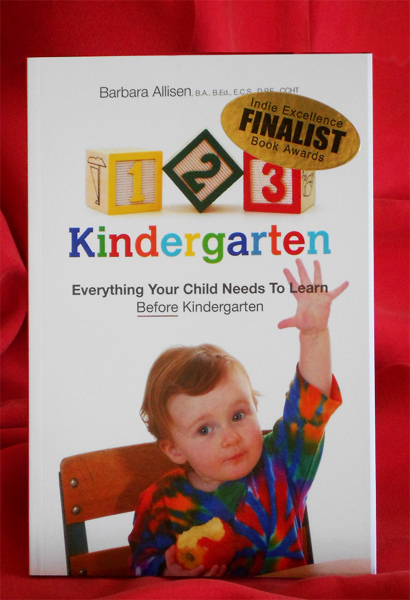 At first, kids will not say all the numbers in the correct order but they have the idea. They may not know they are counting down seconds of time but certainly realize they are getting closer to the point of no more waiting. Besides counting down, hopscotch is another way to blast off. 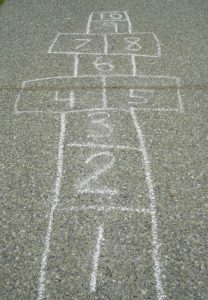 To play hopscotch, kids or adults can draw a game with chalk on a sidewalk using the numbers 1 to 10. Kids can start at the 10 end and jump backwards. When they get to the 1 they can Blast Off and run all around. If using the driveway, be careful of cars. If you have some play numbers at home, kids may want to put them in a line and say them like a countdown. Little Sister isn’t yet matching up the name with the shape of the number but she liked putting them in a line on the floor. Last month, one of the transportation activities was zooming cars on a road made of alphabet letters. 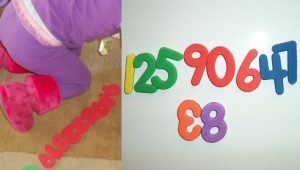 Parents and caregivers can print the numbers 1 to 10 on cards and write Blast Off on another one. Little hands may like to trace them once printed. Kids can put these in countdown order and use a rocket or space vehicle instead of a car and zoom it along the road, or more accurately, the flight path. Experiences like these help kids understand how math works. Numbers are a series sort of like steps. Numbers can go in two directions, up or down, and take us closer or farther away. As an adult are you comfortable with math? 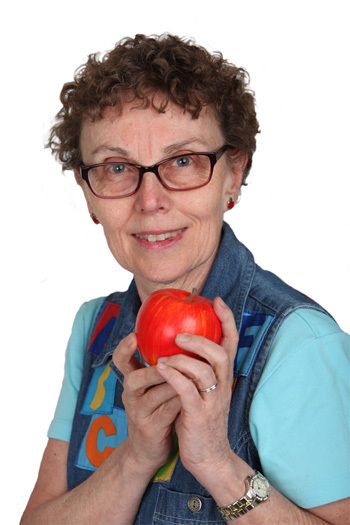 Unfortunately, both kids and adults can develop math anxiety. 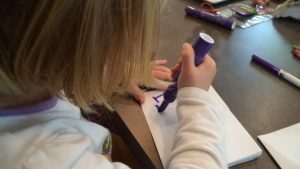 Playing and having fun with numbers and math ideas is one way of helping kids feel comfortable and confident. Can your child blast off the day with some space math activities and games?